On October 25th, the official, super deluxe, 20th anniversary edition of the legendary album, Nevermind, by the leaders of the grunge, punk movement, Nirvana, will be rereleased. The album will feature the original album, B-sides, previously unreleased takes, and a DVD of their famed performance at the Paramount Theater. When the album was initially released September 24th, 1991, the entire music culture changed. The three men made underground music mainstream and exposed the world to a new rock movement. At the time of the release, the top artists in the world were Michael Jackson, Whitney Houston, and Madonna. The top rock acts were Metallica and Guns N’ Roses. 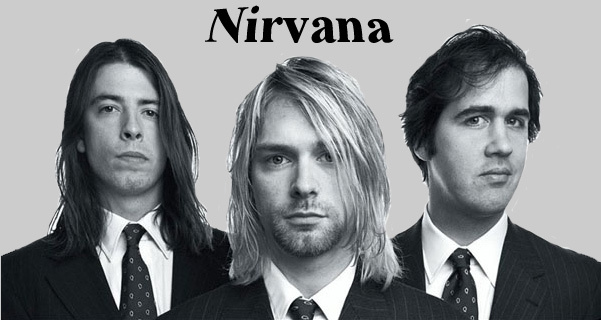 Nirvana, who had already released their first album, Bleach, were essentially unknown in the music industry. The album was made with passion and presented the true meaning of the underground rock movement. Kurt Cobain, along with Dave Grohl and Krist Novoselic, reached out to the troubled youth of the world and those looking for an inspirational voice and spoke to them with their music. Originally, Geffen Records hoped to only sell about 200,000 copies of the album. Nine weeks later it hit one million in sales. Officially, the album has sold 30 million copies to date. Nevermind debuted at number 144 on the Billboard charts. On January 11, 1992 it hit #1 succeeding the legendary Michael Jackson album, Dangerous. Nevermind would spend a total of 253 weeks on the charts. And, if the success of Nirvana, years after Cobain’s death, is questioned at all, one should note that in 2006 alone, Kurt Cobain’s Estate earned 50 million dollars.